Best Routes for game viewing. We have found that certain routes are our Best Routes as they are consistently more productive than others for animal sightings, for various reasons. Animals in the Kruger tend to prefer sweet grass areas close to water and animals in the Kgalagadi tend to prefer the waterholes containing sweet water and so forth. Here we will reveal our best routes – routes that have given us the best sightings during our fifteen years of visiting the parks and reserves. In the Punda Maria area the S99 Mahoni Loop is a great road that circles the camp. You have a choice of starting it from a clock-wise or anti-clockwise direction. We have seen lion, leopard, buffalo and elephants here as well as rarer things such as crested guinea fowl and yellow-billed ox-peckers. The S61 Klopperfontein loop is also very good – we have seen lion, elephants, giraffe (the most northerly sightings we have had of them) and Tessebe. Then of course there is Pafuri – a magical place indeed! We normally drive up early and have a picnic at Pafuri picnic site and then drive along the Luvuvu River to Crooks Corner (the border with Zimbabwe and Mozambique) and the Fever Tree forest. There are many crocs, hippos and water birds to see as well as animals drinking – this is a good area to try for a croc kill. Sirheni bushveld camp is quiet and secluded and has a resident leopard. This camp's slogan is “Best kept secret in the Kruger National Park” because the camp is a gem! Sightings may be fewer than the south but when you do see an animal you'll tend to have it all to yourself. In the Shingwedzi area the S56 Mphongolo road and S50 Kanniedood Dam roads are normally productive as they both follow rivers. The Red Rocks area is scenic and can also be productive. Bateleur bushveld camp provides best access to Red Rocks, the S52 and Tshanga lookout. There is also a very nice secluded dam, Rooibosrant, that can provide good sightings and nice landscapes. We have found the H 1-6 main Road in front of Mopani Camp to be the most productive with some lion, elephant, rhino and buffalo sightings. The Shipandani hide is great for leopard sightings and we have even seen cheetah south of Mopani on the main road. Shimuwini is great for leopards. The 10km road leading up to the camp follows the Letaba River and this is ideal for leopards as well as many other animals such as buffalo, elephant and lion. In the Letaba area we have had consistent sightings only along the short stretch of the H1-6 main road that runs from the camp until the Letaba high-level bridge and along the S94 south of the camp - mainly lion sightings. Olifants - the whole area south of Olifants camp (the S92 / S91 and S90 / S89 dirt road circles, including parts of the H1-4 main road, have given us leopard, lion, hyena, hippo, wild dog and elephant sightings). When Ngotso Weir has water the sightings here (S89) are great but the weir has been empty the last few years and the sightings have dwindled as well. We have had great sightings of lion, cheetah and leopard in the Orpen and Tamboti areas. We have also had many lion, cheetah and leopard sightings around Satara with the H7 and H1-4 main roads being the most productive, even giving us a honey badger and our one and only Caracal sighting. Many people rate the S100 dirt road as one of the best in the park – we have not had good sightings here, but as Nigel Dennis says in his super book ‘Where to watch Game in the Kruger National Park’, "I have driven the S100 dozens and dozens of times and never had exceptional sightings: I guess it is just luck of the draw!" As an example, we have had very good sightings along the S30 Salitjie road near Lower Sabie yet Nigel hasn’t. (We rate the S30 as one of our top three roads in the Kruger). The Skukuza area has given us many lion sightings but only one leopard sighting on the Doispan road, even though the H4-1 / H1-2 / H12 roads (down to Nkuhlu picnic site) are called the ‘Leopard Triangle’ as it has the highest density of leopards in Africa. The S3 / S1 (Doispan) circle roads to the West of Skukuza have been the most productive for us. We have had very good sightings of leopard and lion around Berg-en-Dal Camp. The S114 road up to Biyamiti Weir and the S110 roads have been the most productive for us. Our one leopard was spotted by us from the viewing area above the dam wall within the camp! 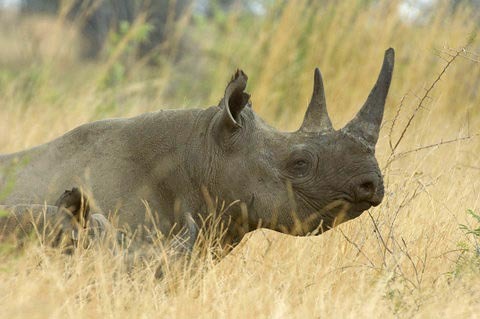 The Lower Sabie area is extremely productive. Sunset Dam is a photographer’s paradise with animal and bird activity all day. The S30 Salitjie Road is very, very good with black rhino, cheetah, lion, ground hornbill, buffalo, hyena and elephant sightings. The bonus of the S30 road is that it tends to not be busy with human traffic. The H10 main road has also provided us with good sightings – lions lying on boulders just before Nkumbe viewpoint and a cheetah kill between Nkumbe and Orpen Dam. Crocodile Bridge area must be the most underrated in the whole park. We have heard some people saying that they just use this gate to enter the park and to enable them to get to the real Kruger (from Satara northwards). Well in our humble opinion the section of roads known as the ‘Southern Circle’ must be the most consistently productive in the whole Kruger. Twice we have seen the big-five in one day – both in this southern circle Crocodile Bridge area. On the one day we had entered the park at 06h00 and by 10h00 we had seen the big-5. On the other occasion we saw the big-five (including a lion kill), 3 leopards as well as wild dogs and cheetah (the super-seven)! 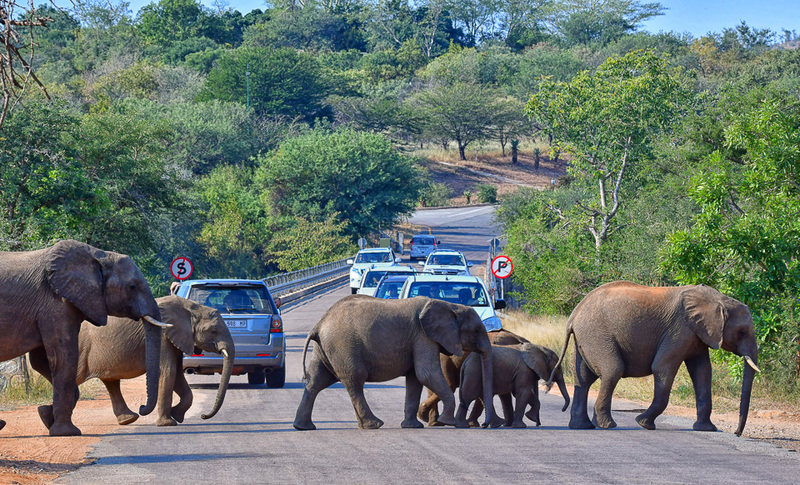 I know; you want to find out which roads these are and why this area is so good for game viewing, don't you!? Well, the southern circle is the H4-2 tar road and the S28 dirt road, including the short S130 and S137 Duke roads in between. We think there are two main reasons for this area being so game-rich, namely there is water all year round as the area is situated close to two perennial rivers (as the crow flies it is just 20 kilometers from the Sabie to Crocodile river in the southern circle) and the area is sweet-grass, which is favored by the grazers. As far as best routes go this must be the number-1 for the Kruger Park. Click here to download the May 2010 issue of the Kruger Park Times. Check page 21 for our article entitled The Southern Circle – Kruger’s Best-Kept Secret. There are basically four roads in this park; the Auob River road and Nossob River road, both of which follow the two dry river beds in a south-north direction from Twee Rivieren camp thereby forming a ‘v’ shape. Then there are the two dune roads that connect the two main river roads. Waterholes have been established along these four roads and we will rate these waterholes in terms of our favorites. •	On our very first visit we were driving from Twee Rivieren to Urikaruus and we saw cheetah, lion and leopard between Houmoed and Munro waterholes – a distance of just six kilometers! •	On another visit we saw a lion kill just outside Mata Mata camp where a pride had killed four wildebeest the night before and they were feeding for the next two days. In those two days they also killed a springbok and a cheetah that had wandered too close to them. Nossob – Again, most of the Nossob waterholes have provided us with good sightings but one was most memorable where we spent four hours near Kij Kij waterhole watching a cheetah stalk, kill and feed. Gharagab and Grootkolk wilderness camps also provide easy access to the Nossob road. Kieliekrankie wilderness camp provides easiest access to the lower dune road and Tierkop. Upper dune road – We have seen lions at Vaalpan and some Gemsbok and that's about it for the upper dune road. Buffalo – very rare sighting in Pilanesberg! We have seen them just three times: once in the foothills near Bakubung Lodge, another time drinking in the morning at Ratlhogo Hide and another time drinking in the afternoon at Tlou Dams. Cheetah – Rare sighting. We have seen them three times: once on Dithabaneng Drive near Manyane Camp, once along Tshwene Drive near Mankwe Dam and then at the Nare Tlou interscction. Elephant – Common sighting. We often see them along Tshepe Moloto and Kubu Drives and also at Ratlhogo Hide and Maltase Dam. Leopard – Rare sighting. Red Rocks on Kubu Drive and Thlware drive are hot spots for leopard but also watch for them in the dry river beds (we saw one in a dry river bed along Tlou Drive early one morning). Lion – Common sighting. We have seen them on Moloto, Kubu, Dithabaneng, Tshwene, Sefara, Nare, Kgabo but most often at Lake Mankwe. The Lake draws many herds and seems to be the border of three of the prides. Rhino (white) – Very common – seen throughout the park. 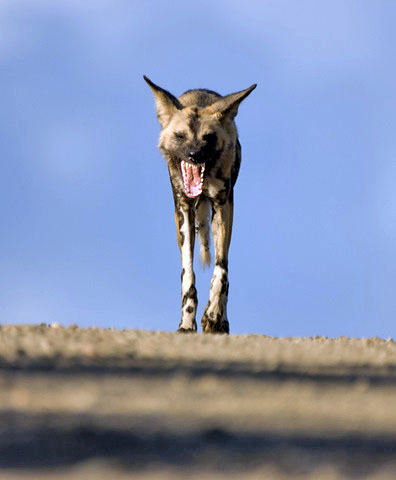 Wild dogs – Very rare sighting – have seen them between Bakgatla Camp and Malatse Dam as they had a den in the hills and we have seen them at Ratlhogo hide. Olifantsbad waterhole can also be productive with lion and leopard sightings. Nebrownii waterhole can also be productive in winter with large herds and black rhinos drinking. The vehicle area faces south east so you can get backlit-pictures in the morning and front-lighting in the afternoons. 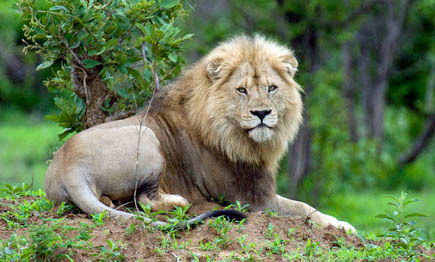 Okondeka waterhole is very good for large groups of animals on the pan and the resident lion pride. Halali – Goas waterholes (there are two next to each other) are the most productive in the Halali area. It teams with wildlife and you have the option of parking your vehicle to the north or west, depending on the sun’s position, to get the best lighting for photographs. Moringa waterhole, situated in the camp, is not very productive during the day but at night it comes alive – we have seen black rhinos, elephants, porcupines and leopards drinking. You are situated up on a rocky area so when the sun sets you get a pink glow in the water. 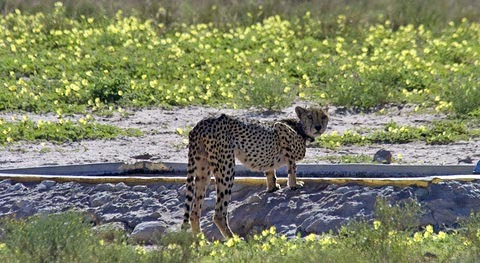 Salvadora waterhole can also be productive with regular cheetah sightings. Namutoni – Chudop waterhole is great as it faces south so the light is good all day for photography. Kalkheuwel waterhole is also productive but the parking area is a bit small and can get crowded with vehicles. 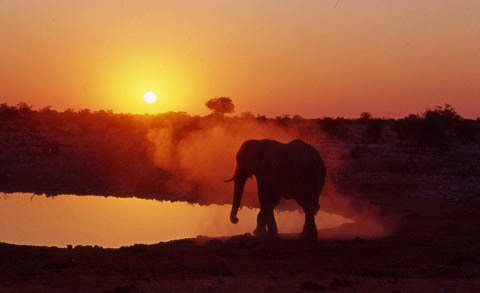 Klein Namutoni waterhole faces east so you can get some nice silhouettes against the rising sun. In Etosha the best routes are the ones that lead to the waterholes, as Etosha is all about the waterholes! Onkoshi is very close to Namutoni so the same waterholes will apply. The only difference is that at Onkoshi you are taken on game drives. You leave your vehicle at Namutoni as they collect you from there. We had too much photo gear so they allowed us to drive to Onkoshi. Dolomite Camp – Klippan waterhole is good as it faces south so the light is good most of the day for photography. Rateldraf waterhole is also a productive waterhole with good light most of the day. Renostervlei waterhole faces west so the lighting is best in the mornings. All three waterholes are close to Galton Gate and Dolomite camp.